At Scuba Divers Red Sea we offer a wide range of diving activities: courses, daily guided dives and safaris or liveaboards. We also offer snorkelling packages to non-divers. Essentially there is something for everyone. in Sharm is possible throughout the year. Sharm enjoys a dry desert climate, with clear skies mostly year-round and little or no humidity. Our boats leave the jetties of Sharm El Sheikh daily. You will be picked up from your hotel in one of our air-conditioned minibuses in the early morning and returned to your hotel late afternoon. 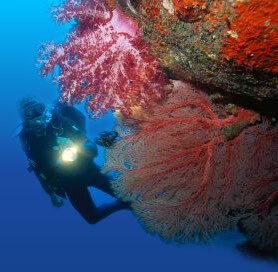 The liveaboard experience is designed for experienced divers (advanced qualification or above) who are looking to dive remote and otherwise hard to reach dive sites beyond the range of daily diving boats. If you prefer sto admire the wonders of the Red Sea, without getting totally immersed, why not join one of our daily boats for snorkelling. We will look after you properly, show you how to use the snorkelling equipment, if this is your first time, explain what you can expect to see and tell you all about the fish and corals.